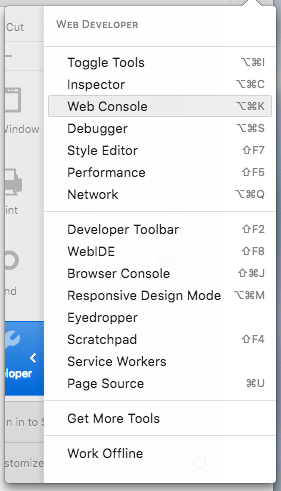 To open the Web Console in FireFox, you can navigate to the ☰ menu in the top right corner next to the address bar. From there, click on the Developer button symbolized by the wrench icon, which will open the Web Developer menu. With that open, click on the Web Console menu item. You can also enter into the Web Console with the keyboard shortcut CTRL + SHIFT + K on Linux and Windows, or COMMAND + OPTION + K on macOS. Note that the Console will also print the result of evaluating an expression, which will read as undefined when the expression does not explicitly return something. If you need to modify a command that you passed through the Console, you can type the up arrow ↑ key on your keyboard to retrieve the previous command. This will allow you to edit the command and send it again. Bear in mind that as soon as you reload a page following modifying it with the Console, it will return to its state prior to your modifying the document, so make sure to save any changes you would like to keep elsewhere. If you save the above HTML file, and load it into the browser of your choice, you should see a blank page with the title of the page as Today's Date. "<h1>Today's date is Sat Jun 24 2017 12:16:14 GMT-0400 (EDT)</h1>"
The Console provides you with a space to experiment with modifying HTML pages, but it is important to keep in mind that you’re not changing the HTML document when you do things on the Console. In this case, once you reload the page it will return to a blank document. 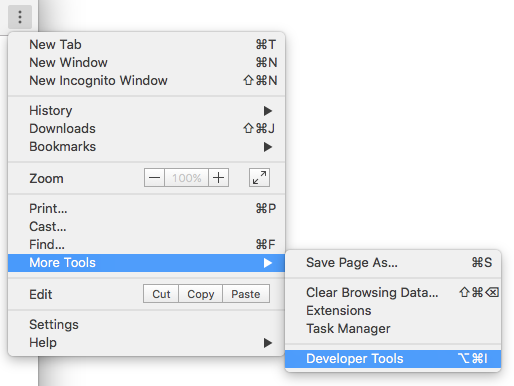 Depending on which browser’s development tools you use, you’ll be able to use other tools to help with your web development workflow. Let’s go over a few of these tools. Each time a web page is loaded, the browser it is in creates a Document Object Model, or DOM, of the page. The DOM is a tree of Objects and shows the HTML elements within a hierarchical view. The DOM Tree is available to view within the Inspector panel in Firefox or the Elements panel in Chrome. These tools enable you to inspect and edit DOM elements and also let you identify the HTML related to an aspect of a particular page. The DOM can tell you whether a text snippet or image has an ID attribute and can let you determine what that attribute’s value is. 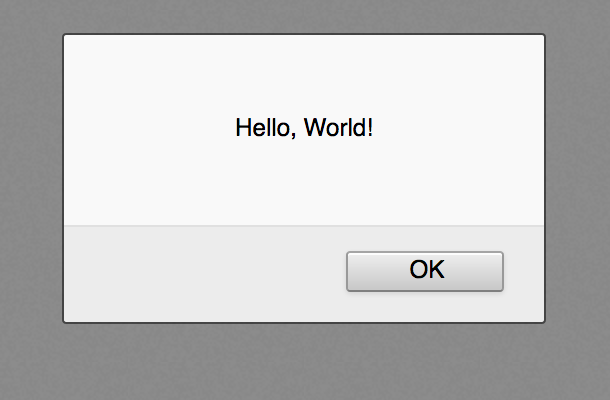 To live-edit a DOM node, double-click a selected element and make changes. To start, for example, you can modify an <h1> tag and make it an <h2> tag. As with the Console, if you reload the page you’ll return to the saved state of the HTML document. The Network tab of your browser’s built-in development tools can monitor and record network requests. This tab shows you the network requests that the browser makes, including when it loads a page, how long each request takes, and provides the details of each of these requests. This can be used to optimize page load performance and debug request issues. 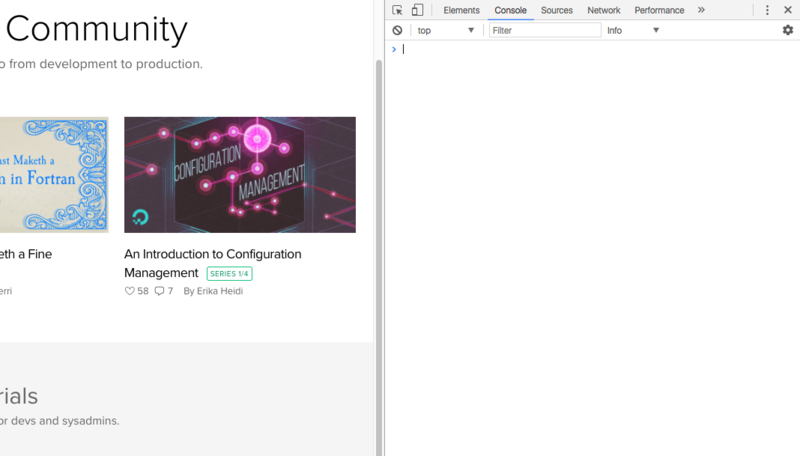 To learn more about how to use the Network tab, you can read about working with Firefox’s Network Monitor or getting started with analyzing Network performance with Chrome’s DevTools. When websites are responsive, they are designed and developed to both look and function properly on a range of different devices: mobile phones, tablets, desktops, and laptops. Screen size, pixel density, and supporting touch are factors to consider when developing across devices. As a web developer, it is important to keep responsive design principles in mind so that your websites are fully available to people regardless of the device that they have access to. Both Firefox and Chrome provide you with modes for ensuring that responsive design principles are given attention as you create and develop sites and apps for the web. These modes will emulate different devices that you can investigate and analyze as part of your development process. Read more about Firefox’s Responsive Design Mode or Chrome’s Device Mode to learn more about how to leverage these tools to ensure more equitable access to web technologies.